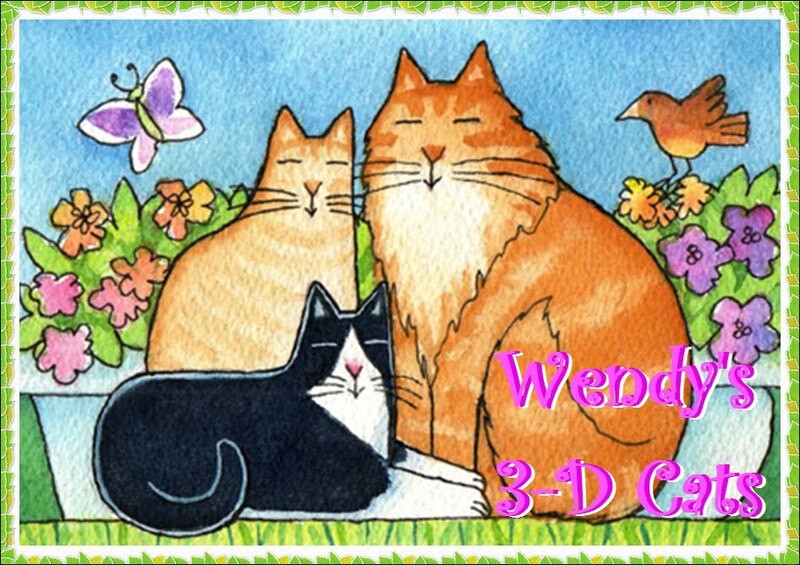 Wendy's 3-D Cats: MANCAT MONDAY WITH DYLAN: SNIFFING! Truth be told, it's not just Domino who is nosy. Dylan is quite proficient in the sniffin' department, himself. This bench has a very special scent, Dylan just can't get enough of whiffin'! It reminds him of his gorgeous girlfriend, Halle. They sat here together last time she came to visit. O Halle! Where art thou, Halle? "I'm in bed all alone an' lookin' fur sum snugglin'", says she. 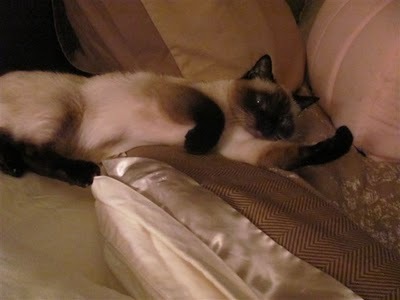 "C'mon down -- I'm waitin' on yoo, sweetheart, an' I gots an extra pillow jus' fur yoo. Follow yoor nose an' yoo'll find me!" Some smells are just heaven scent! That is some darn impressive whiffin! There's so much to whiff there! What a day! THat last photo of Dylan is great! Sniffin' is a very important part of a mancats work. Smelling is important to us kitties! So much to whiff, so little time! 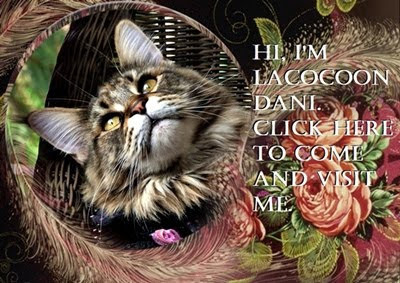 We didn't know Dylan had a ladycat friend, she is just beautiful!! !